It’s no secret that here at Wolf Real Estate FL we lover dogs! Just head over to our Instagram to see our favorite Mastiff and Chihuahua. One of the many reasons we were drawn to St Petersburg initially was how dog friendly it is! We love to hang out with our furry friends and include them in our outings. If you are new to the city or simply looking for new ideas to bring your fur child to, then read on! The Dog Bar on Central is a beer lover and dog lovers heaven! Think of the Dog Bar as a large, outdoor dog park with a bar in the middle. There is never a shortage of dogs, drinks, friendly humans, and fun. Fido’s entertainment includes climbing obstacles, a pool, humans for petting, dogs for playing, a large area to run, and AC units during hot summer evenings. Humans can enjoy the fairly priced drinks, the ample amounts of adorable pups running around, other humans, indoor and outdoor TVs, and the occasional food truck. Go prepared! You are required to bring proof of vaccinations and there is a membership fee of $5 for one week or only $40 for the year. 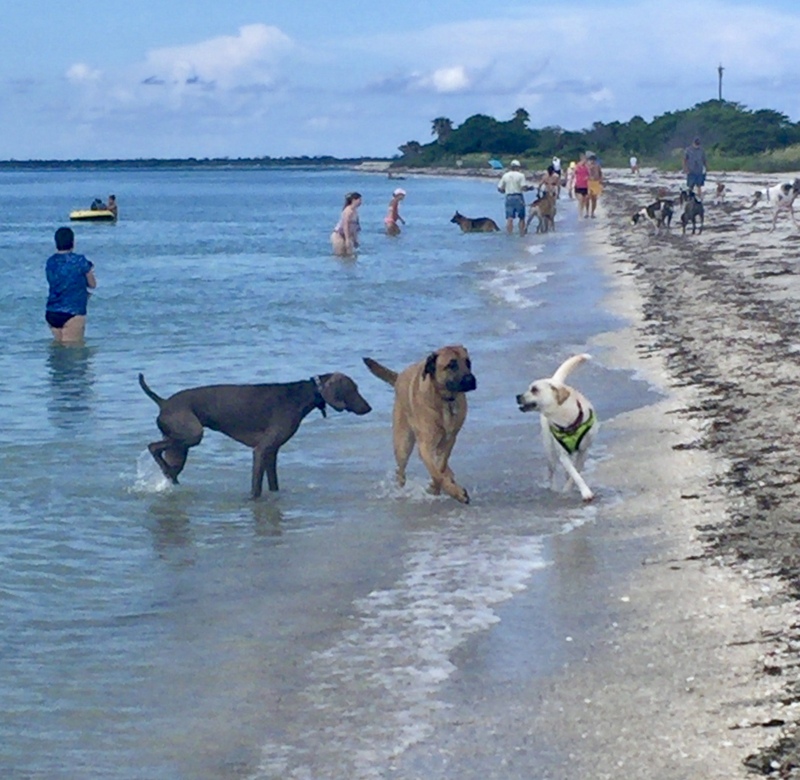 If you are dying to go to the beach and see how Rover fairs in the salt water, Fort De Soto dog beach is the best in the area! This expansive beach sits on the white sand beaches and is an off leash dog beach for dogs to run, play, swim, and fetch! The beach never seems too crowded since it stretches far and wide. We have never seen our Mastiff so tired after swimming all morning! There is also a large fenced in dog park with showering station so you can be sure to get rid of all that salt and sand. While you’re there, explore some of the walking trails, just be sure to put your dog on a leash anywhere outside of the dog beach or dog park. There is a $5 entrance/ parking fee. While it’s true that dog parks can be found in most cities, St Pete has some of the best! We frequently go to the dog park at Crescent Lake and North Shore. Both of these locations are large, popular destinations for fellow dog lovers to bring their best friend. There is never a shortage of dogs to play with at either of these parks! We love to take our dog to North Shore Dog Park and then walk up to Beach Drive and sit on one of the many dog friendly patios for dinner or drinks! While most of the places on Beach are dog friendly, Clifford loves to go down to Cassis because they have a dog menu! Treat your furry friend to a Mutt Loaf or a Hot Diggity Dog while you enjoy your meal! After all of those fun activities, perhaps it is time to pamper your pooch! In addition to full service grooming, One Lucky Dog offers a dog bakery, a great selection of fun toys, and a wide variety of bandanas, harnesses, and dog clothing. Trust us! There are plenty of options to empty your wallet and spoil your pup rotten! If you are looking for a dog friendly hotel during your stay, our pick for downtown pet friendly is Hotel Indigo. Hotel Indigo is near all of the action of downtown and welcomes pets up to 50 pounds. 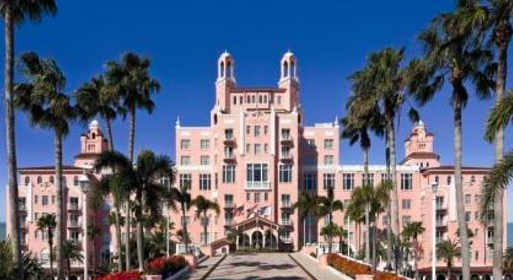 This brightly colored, funky hotel is located in a historic hotel and is only a few blocks from Beach Drive! Walk to everything and bring your furry friend with you. As you can see, there is no shortage of ways to bond with your dog while in St Pete! Now the hard question is…. Which do you do first?? Have fun bonding with your furry bestie! Don’t worry! We’ll be here waiting for your call when you get back!